Characteristics : PLEASE NOTE: the phosphate steel is a material which requires a particular attention. Avoid water stagnation and direct contact with sources of heat (hot pans, hot mugs, etc) so not to mark the material. 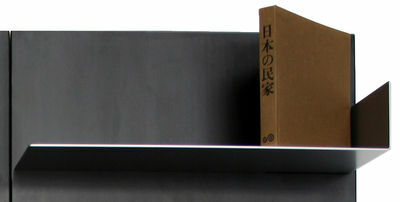 The iWall shelving unit was born from a simple concept: a single wall panel to combine with shelves to create unique compositions. 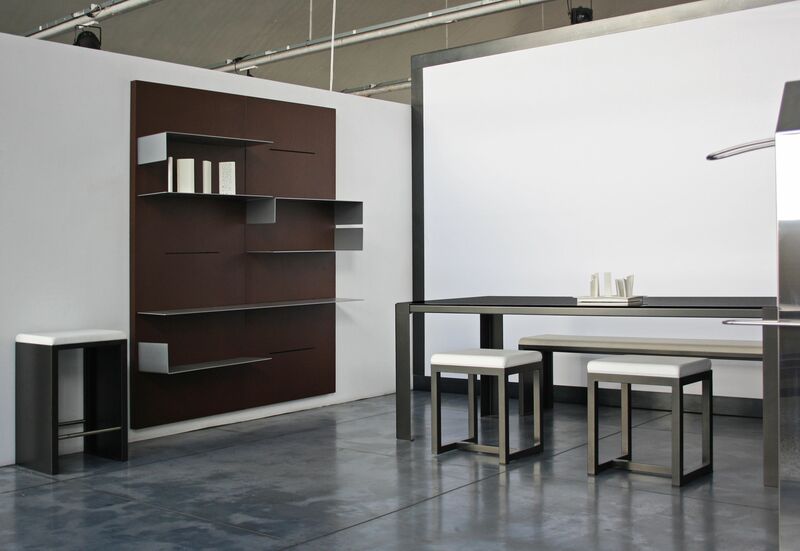 A system without hooks or joins allows the user to create walls, screens, horizontal and vertical elements, angles, benches, entertainment systems - anything at all. 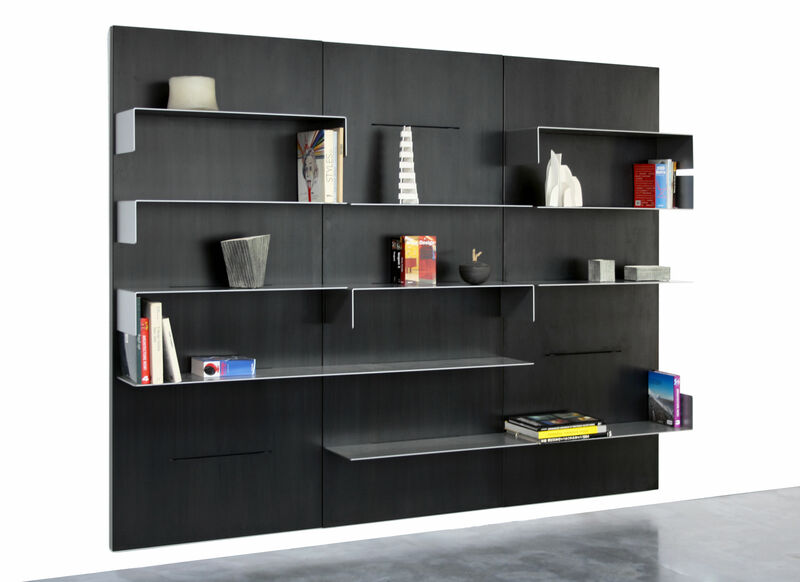 The niches carved out of the piece underline the monolithic and solid nature of the Urban shelving unit. 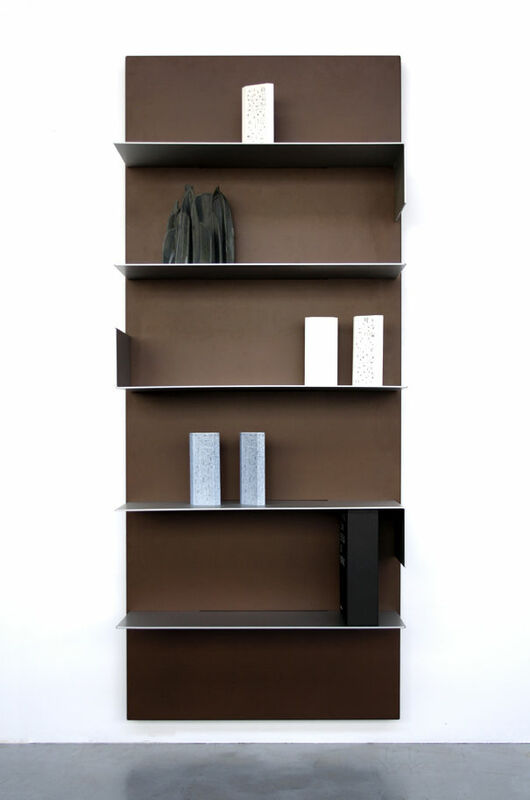 A modern piece which stands above the whims of fashion. The infinite possibilities of composition allow the user to create surprising landscapes and furnish their spaces in a dynamic and bright manner.